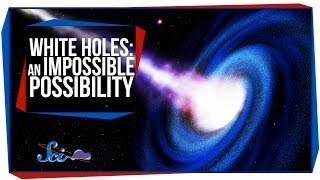 Reid Reimers expands your mind with an explanation of white holes -- celestial objects that almost definitely are not real things that can be found in nature. Except, we might have actually seen one. Is it Possible We’ve Found the First White Hole? Jan 14, 2012 · A white hole in general relativity, is a region of spacetime which cannot be entered from the outside, but from which matter and light may escape. Forget Black Holes, How Do You Find A Wormhole ? SUSHI & LIVER?! Facing Our Food Fears!